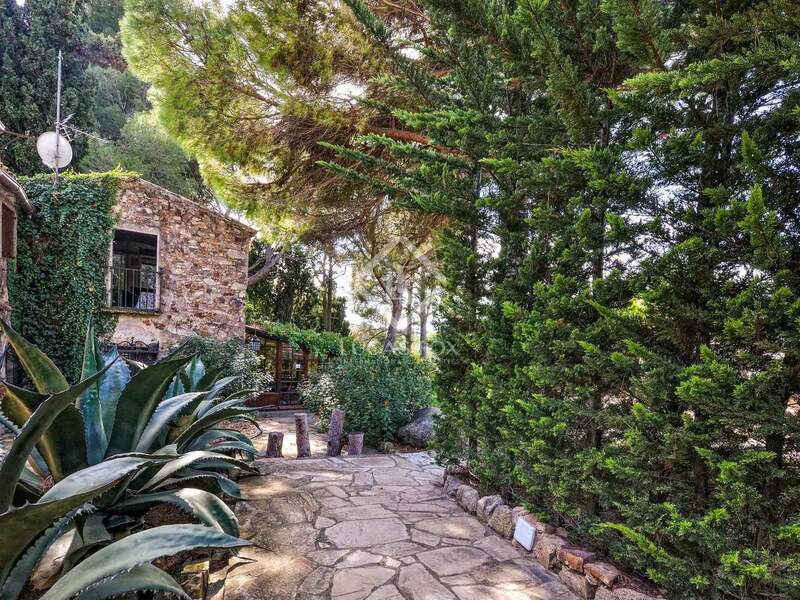 On a vast plot in the wooded hills behind Playa De Aro town and beach, we find this magnificent 13-bedroom country guesthouse for sale. 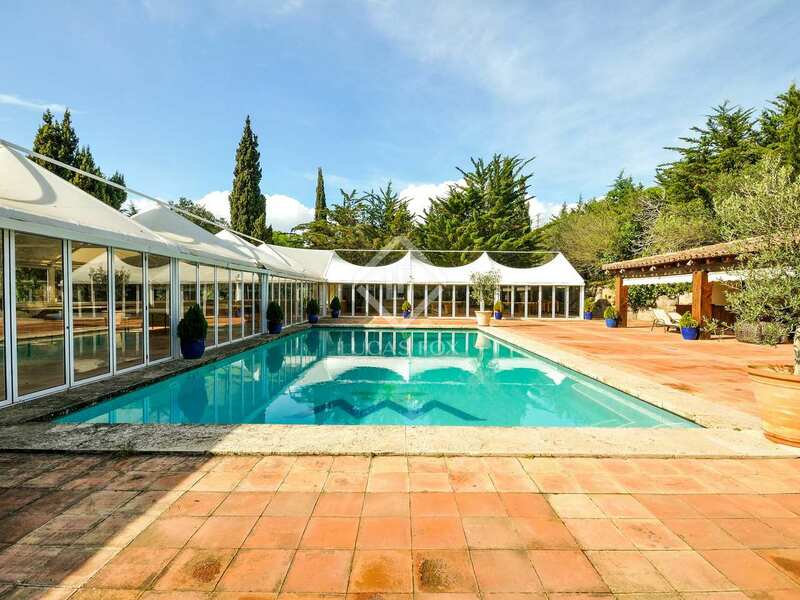 Originally built in the 18th century and renovated over the years, it sits among beautiful gardens which host wedding ceremonies, with a large swimming pool and large covered terrace where banquets for up to 350 people are held, ample parking space, 3 wells, other terraces around the house and 34 hectares of woodland with lovely sea views. 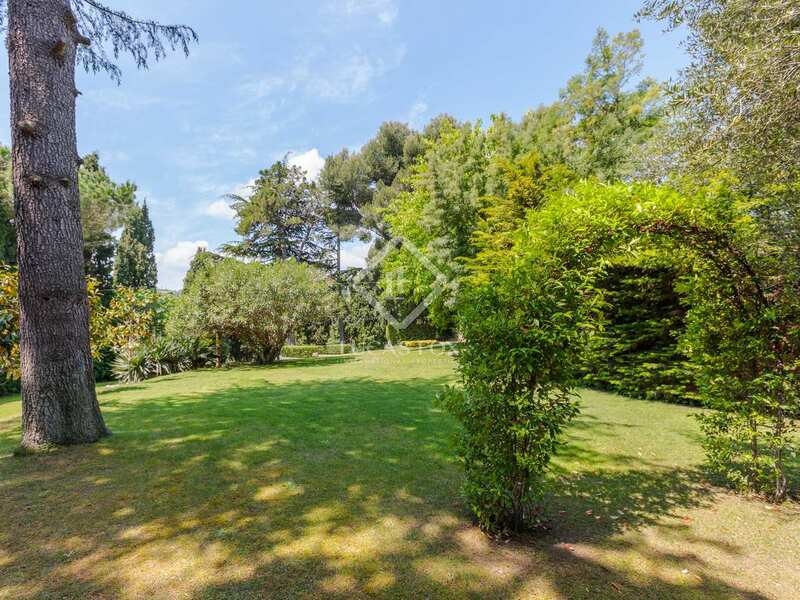 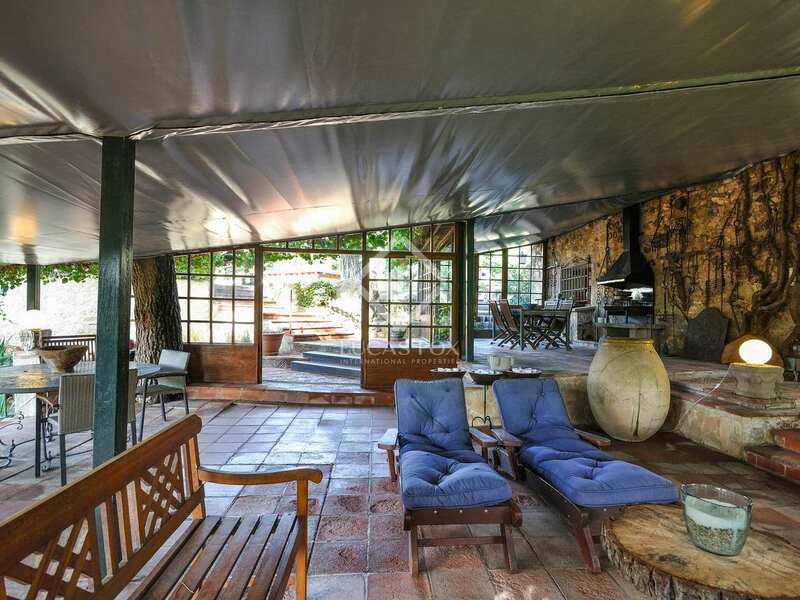 It is easily accessible as it is situated close to the main road network and is just 1 km from the town centre. 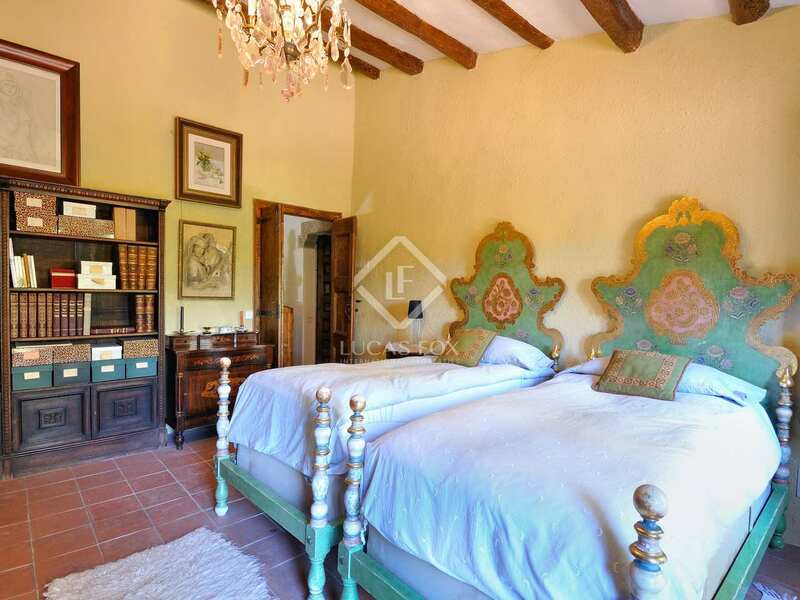 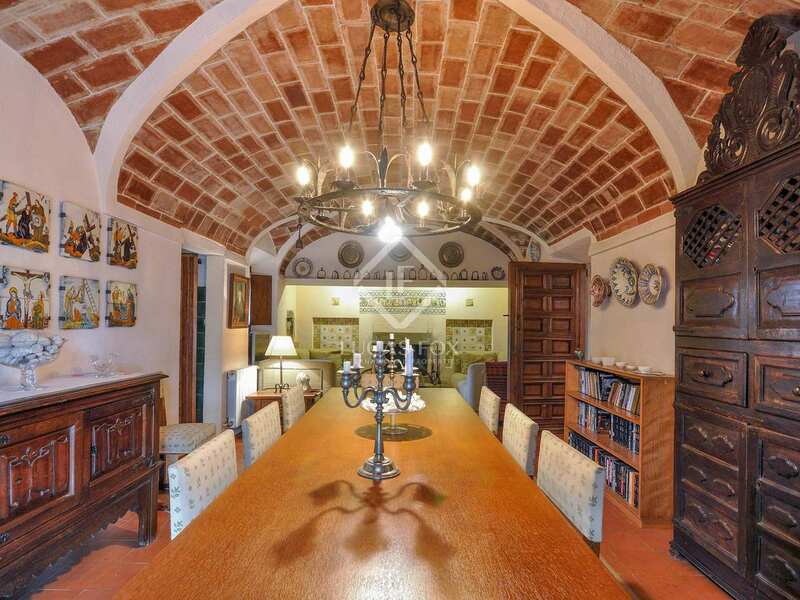 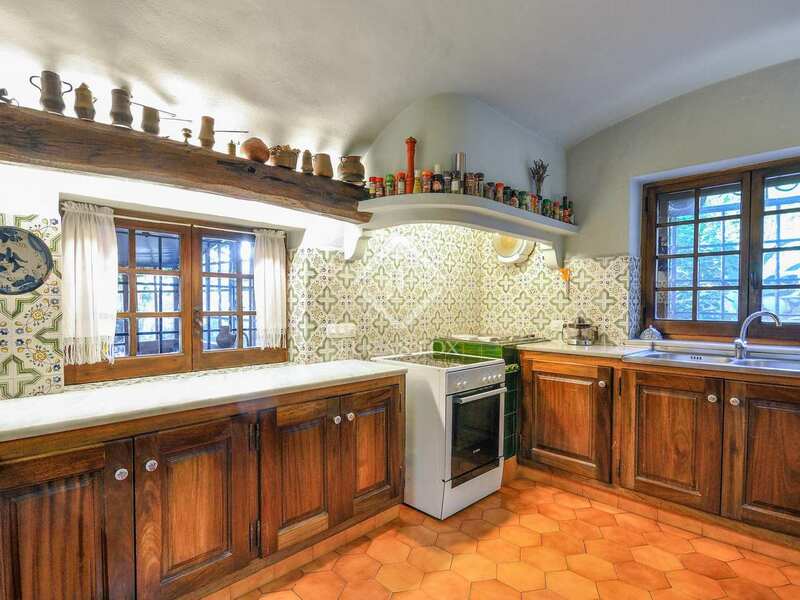 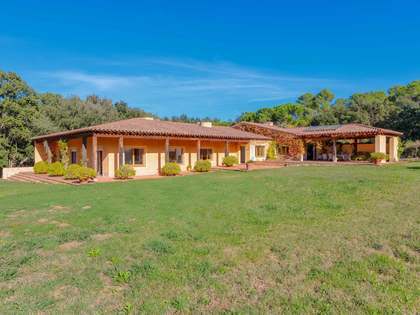 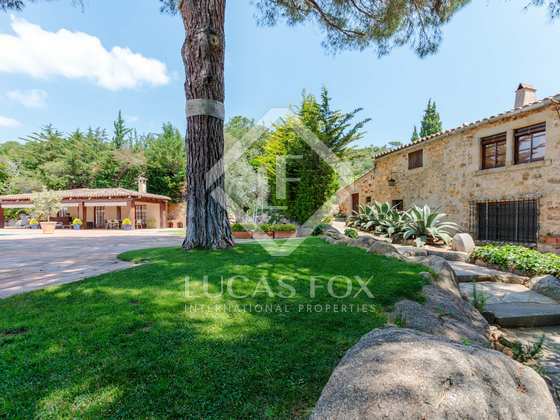 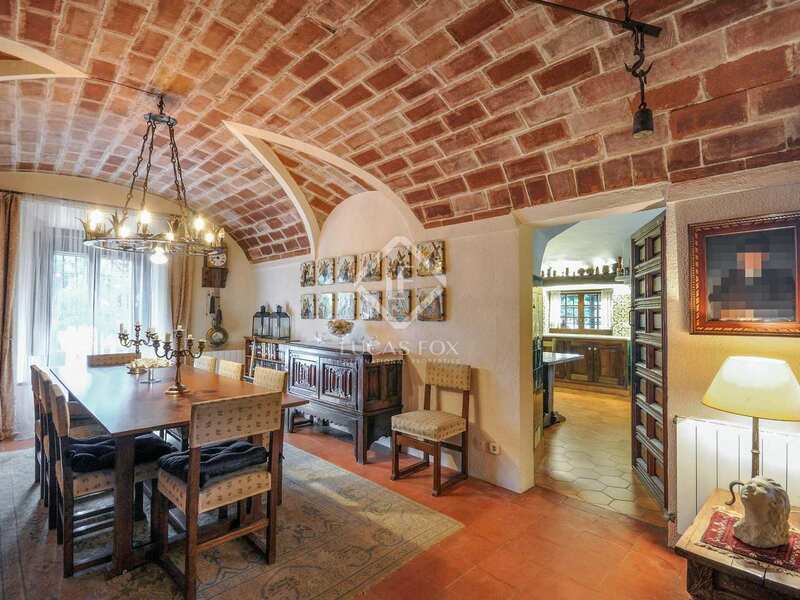 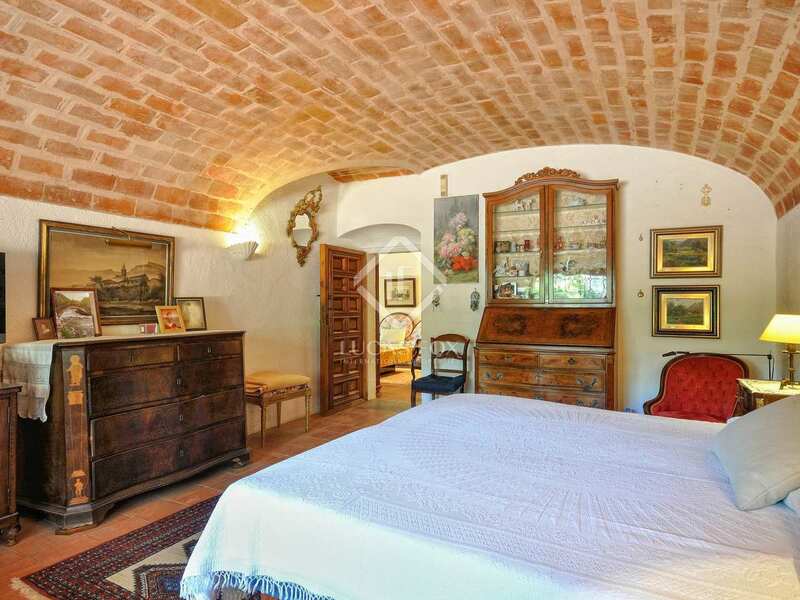 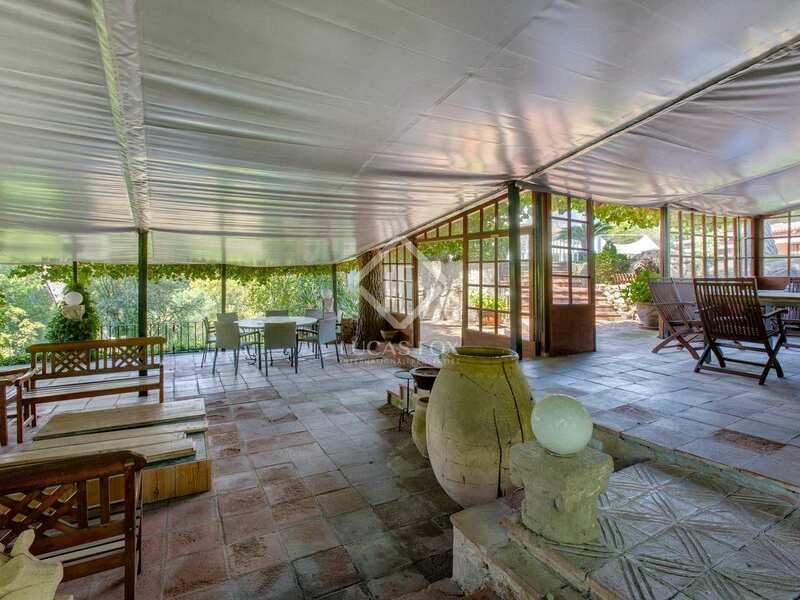 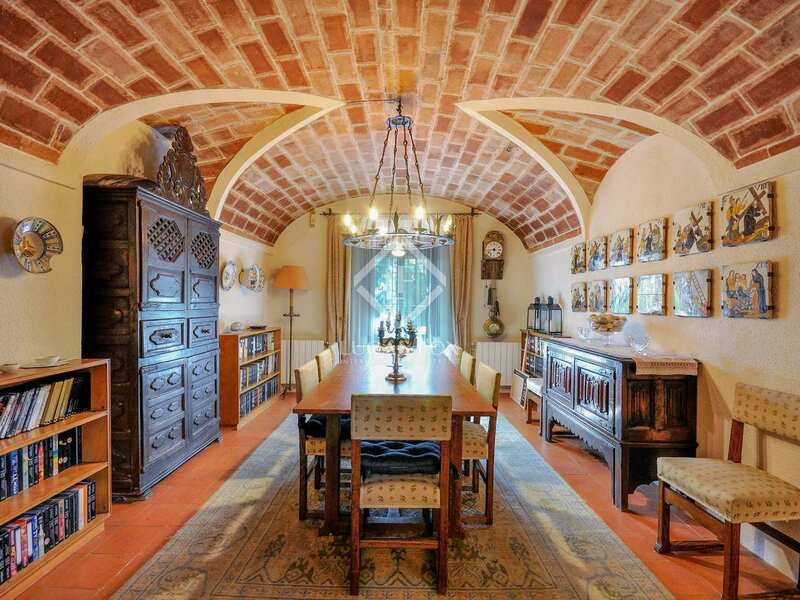 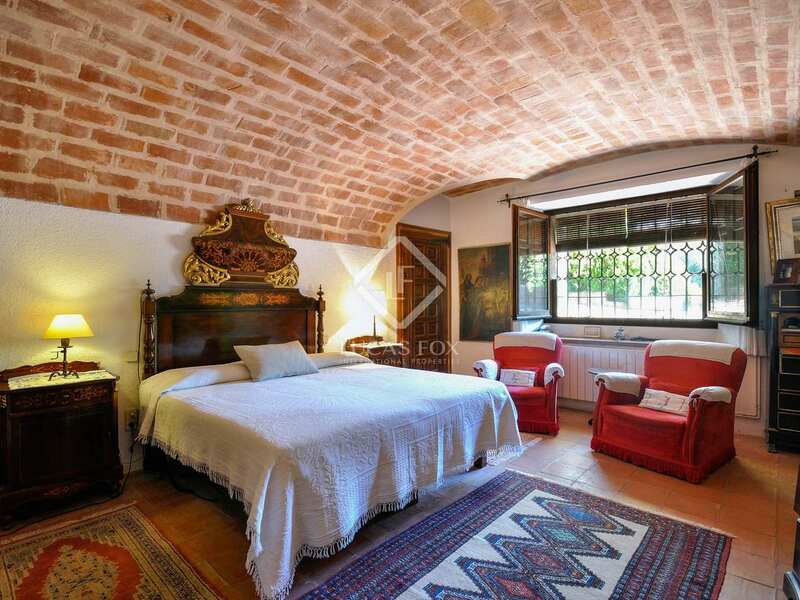 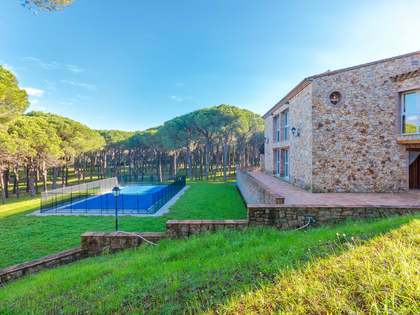 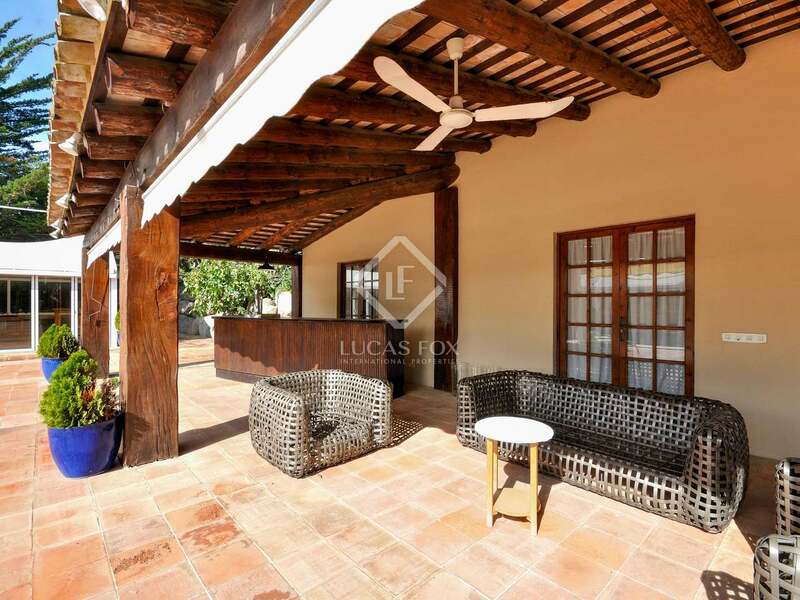 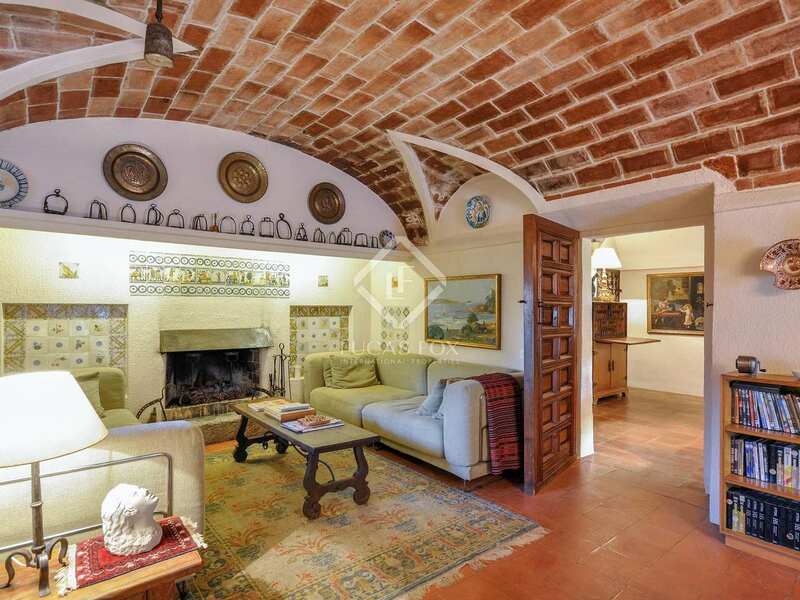 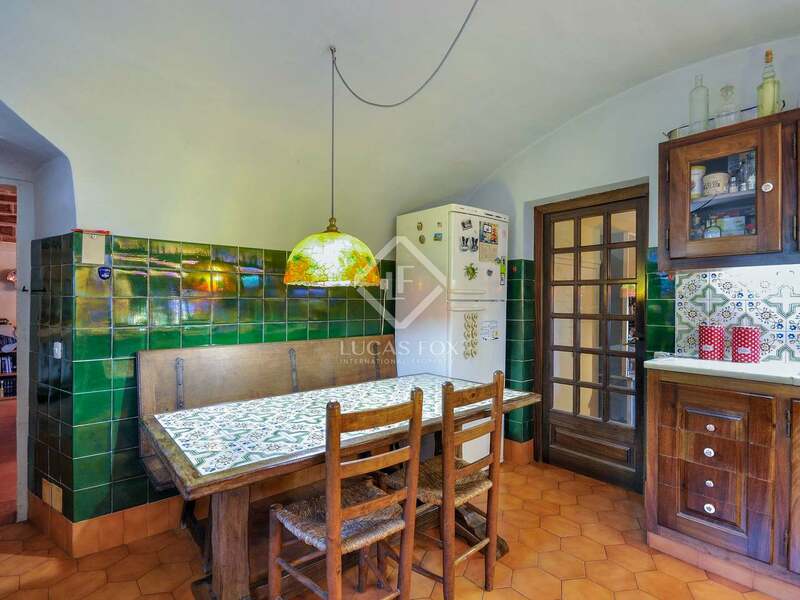 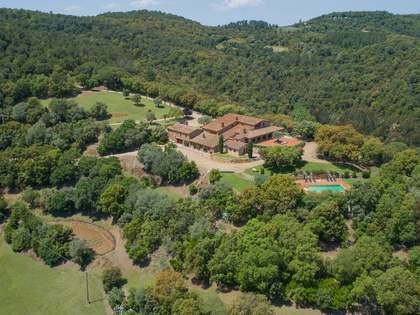 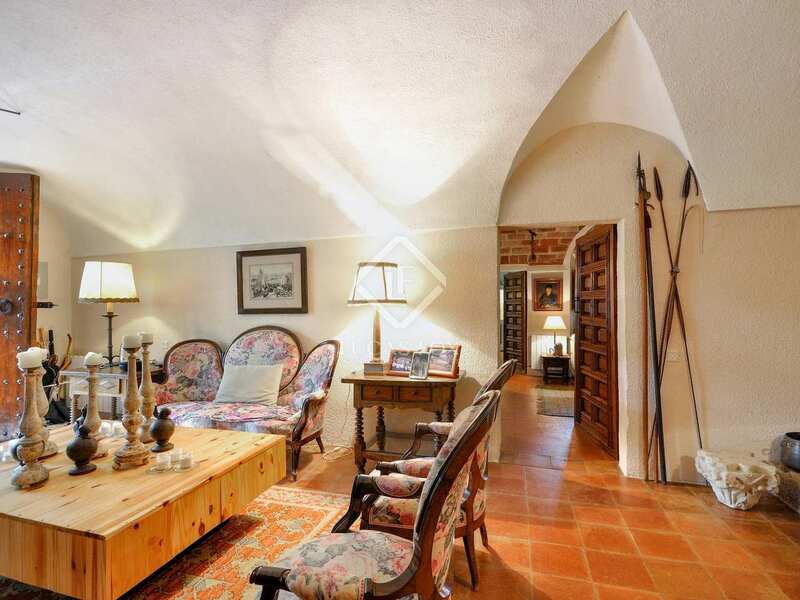 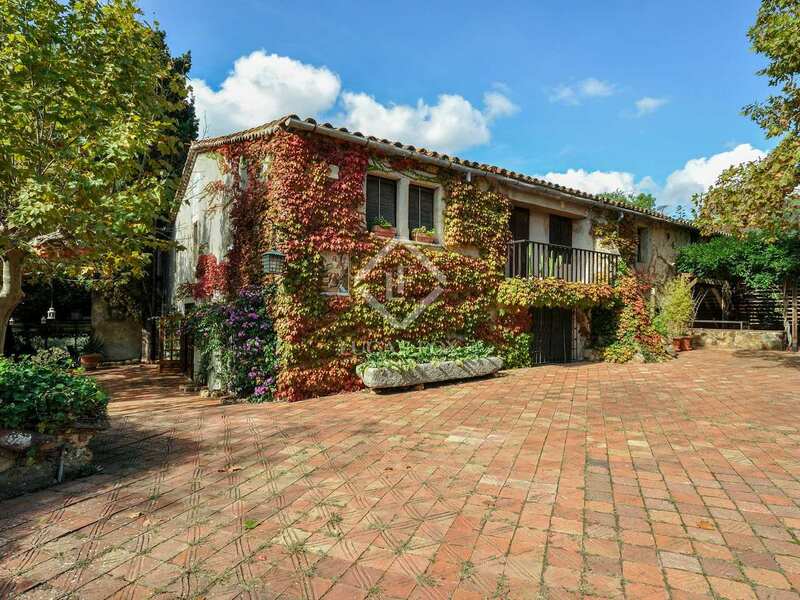 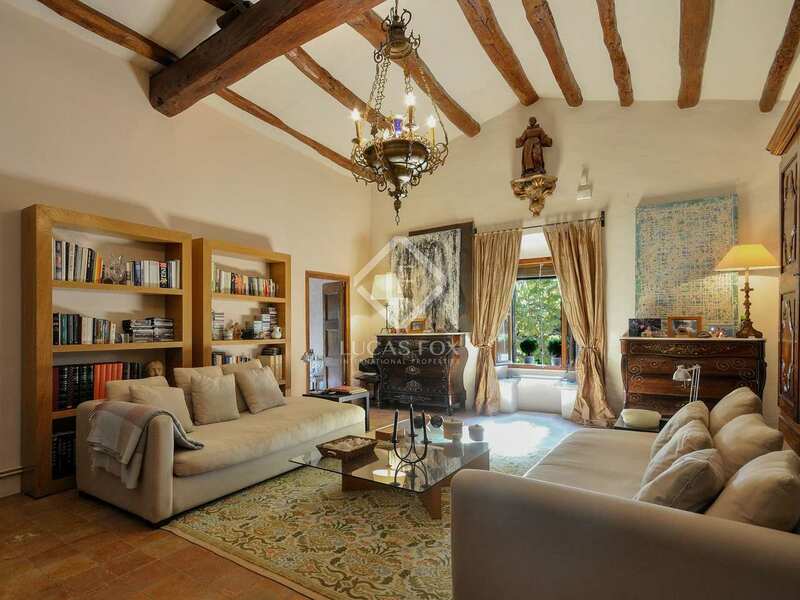 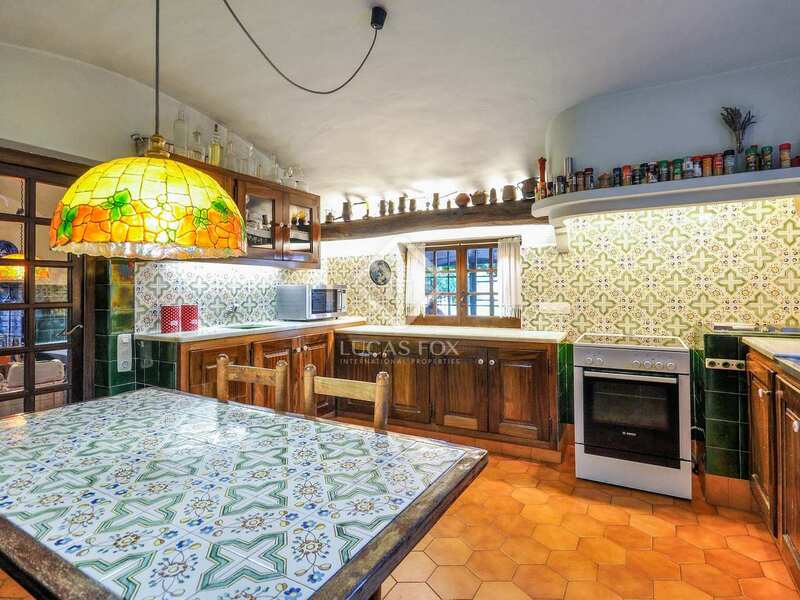 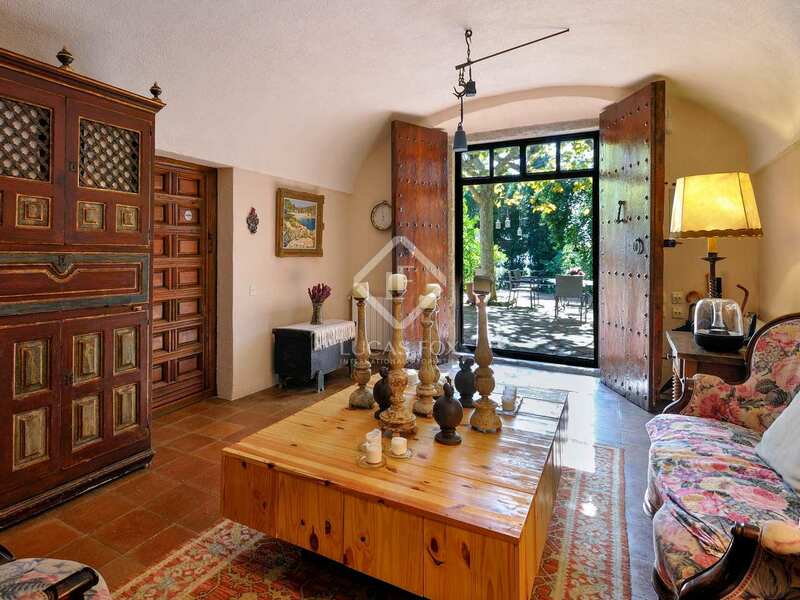 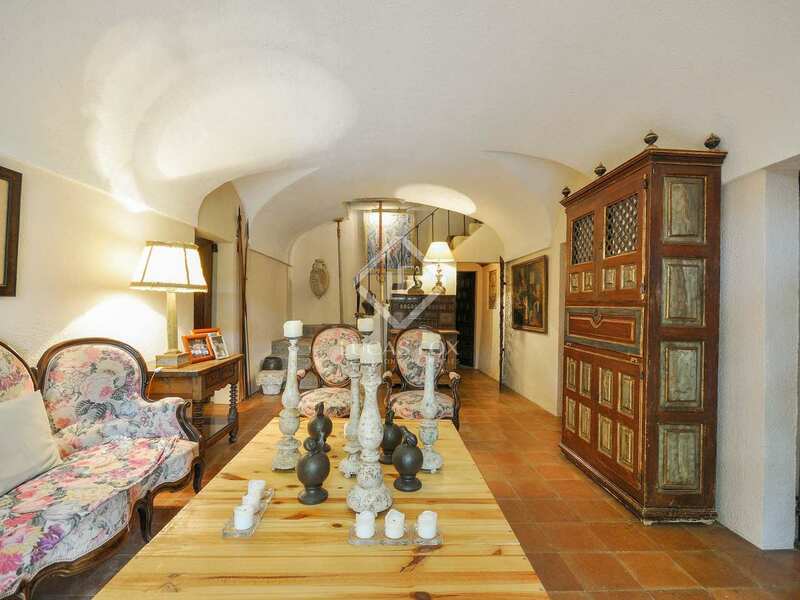 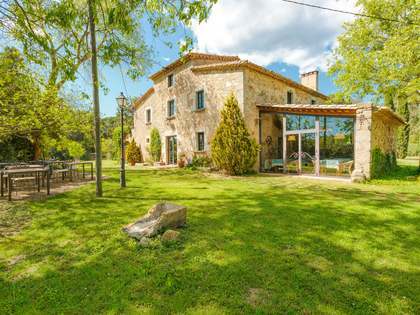 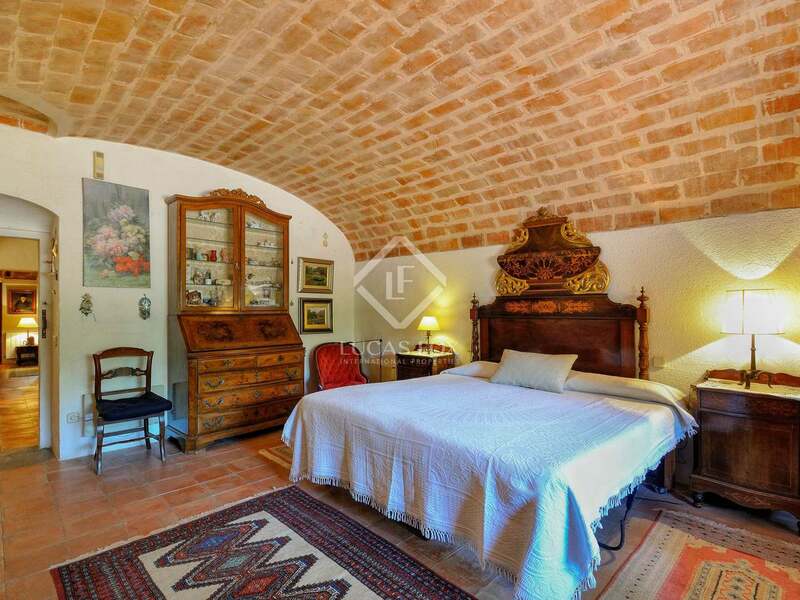 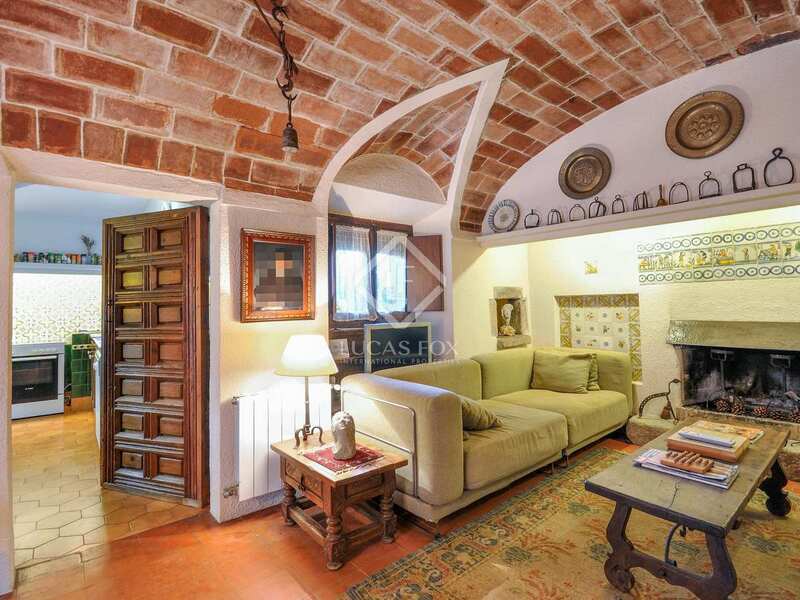 The entire property exudes pure country charm, with exposed brickwork, traditional clay floor tiles and vaulted ceilings with wooden beams, with mountain views and stunning sea views from the land behind the property. 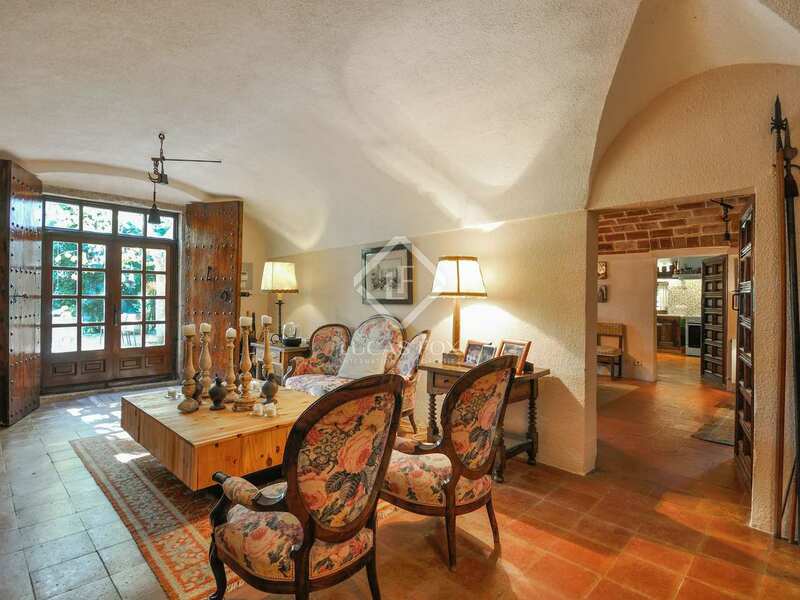 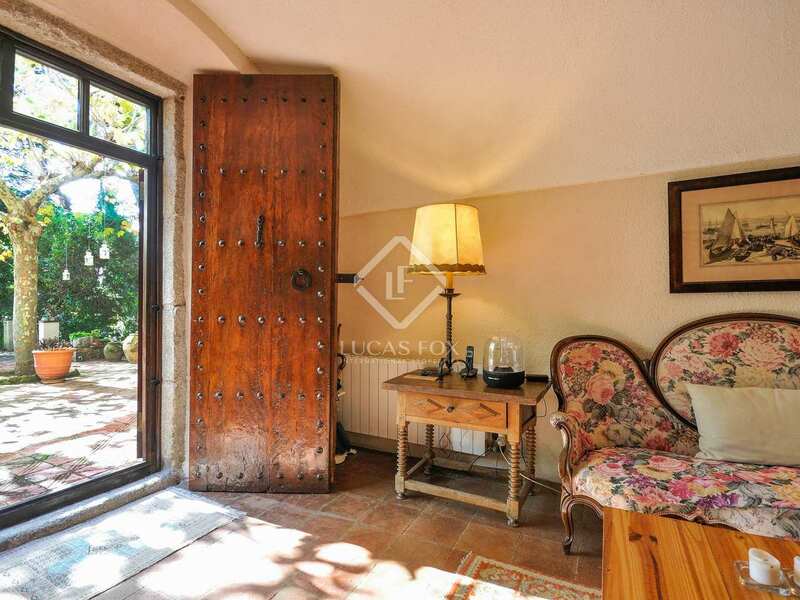 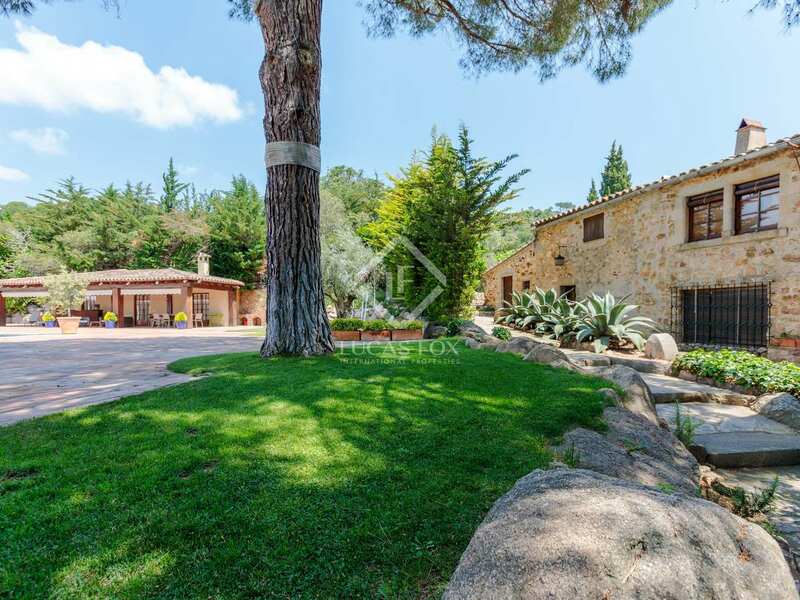 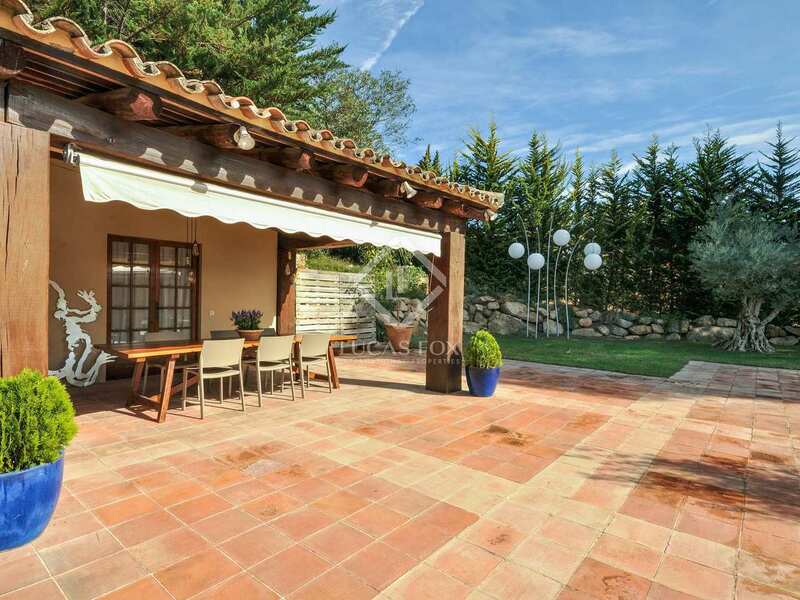 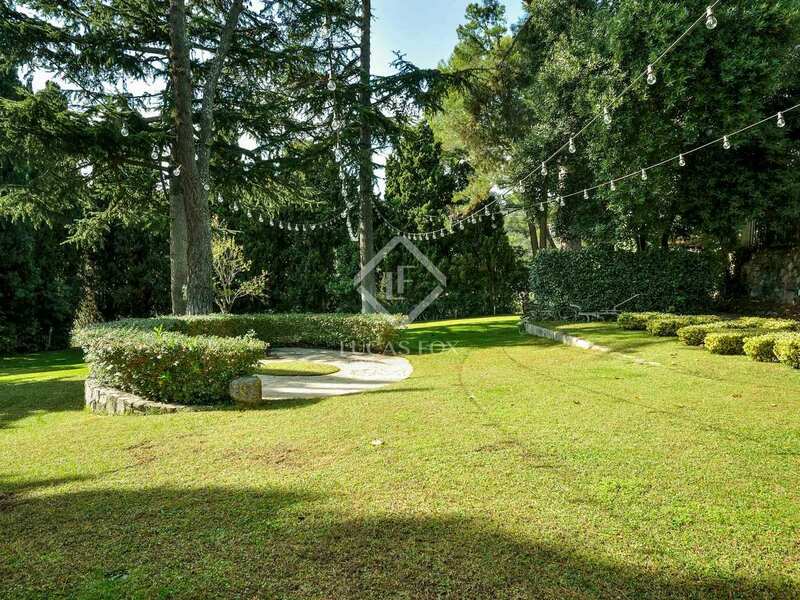 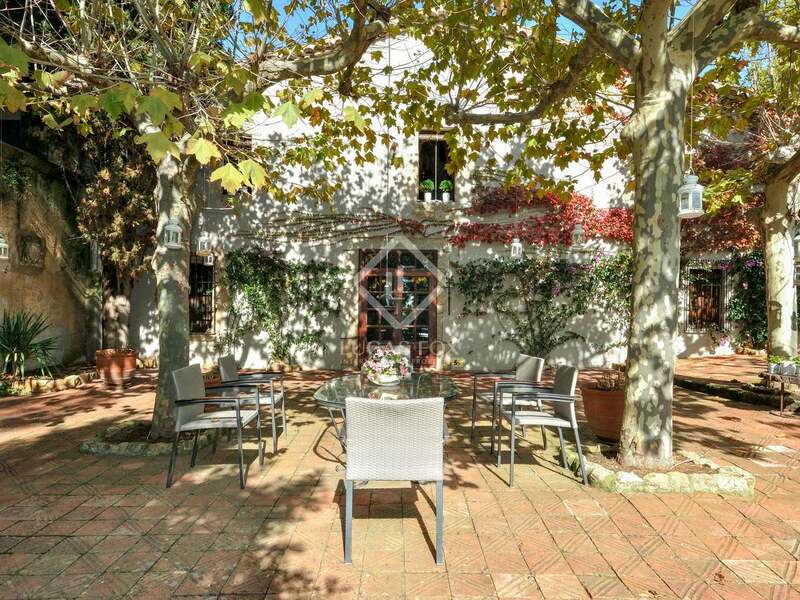 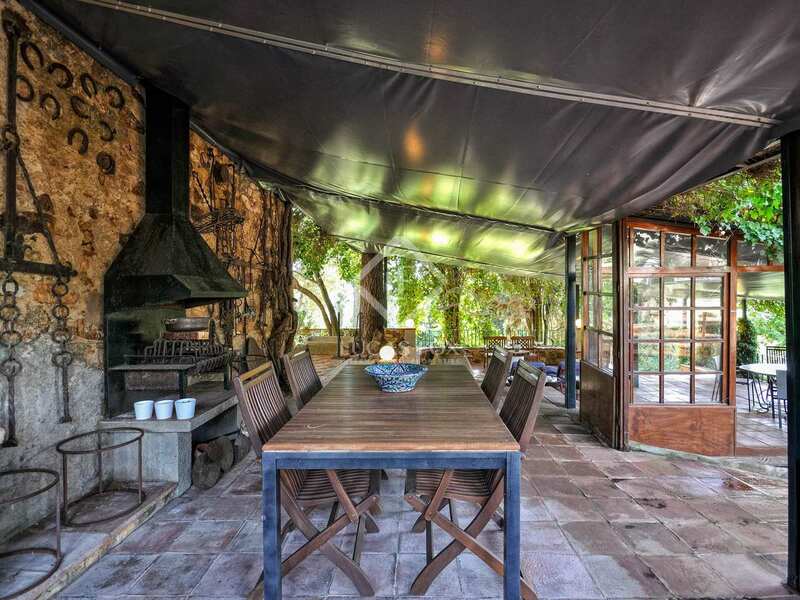 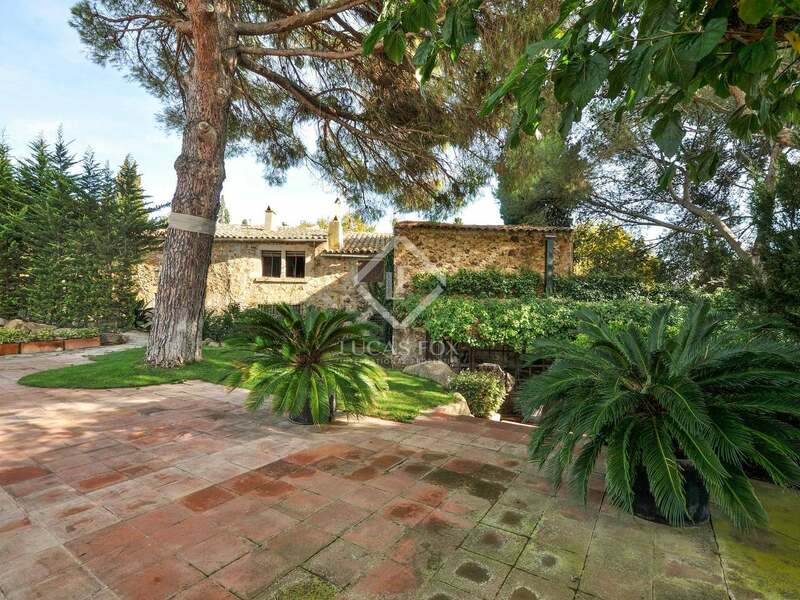 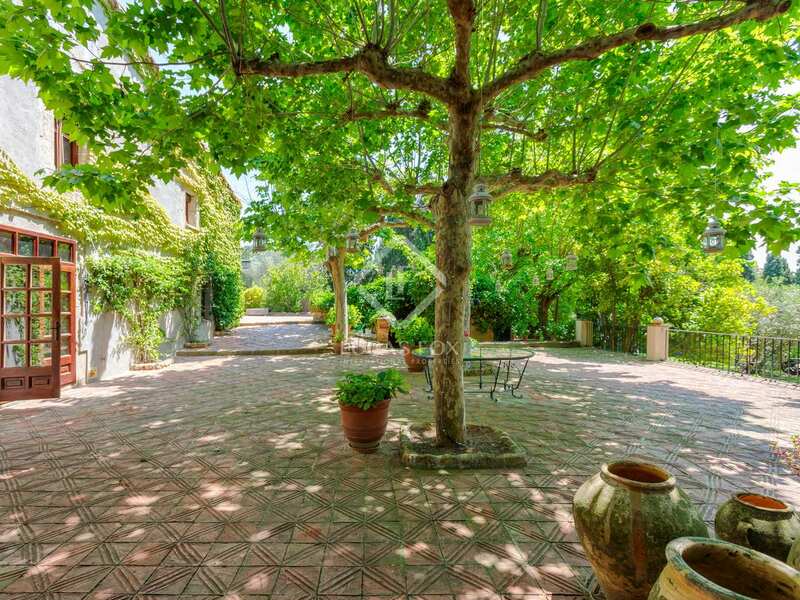 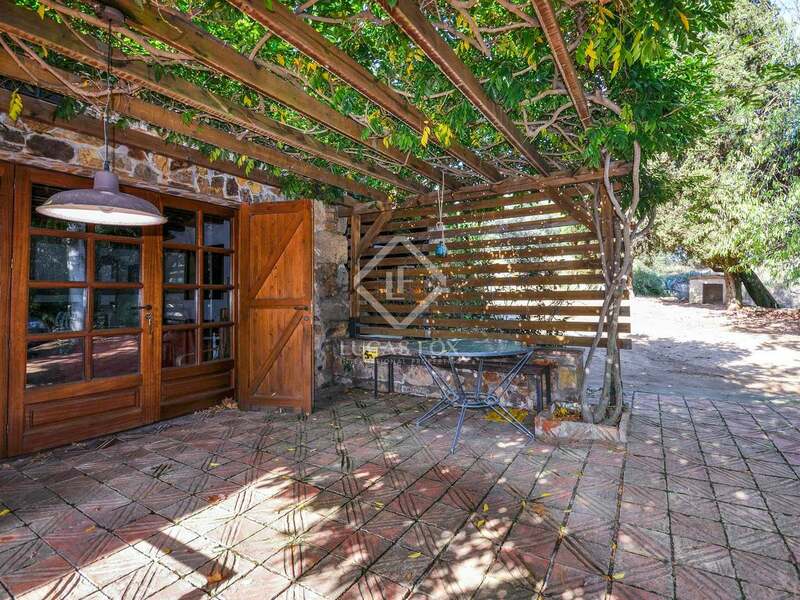 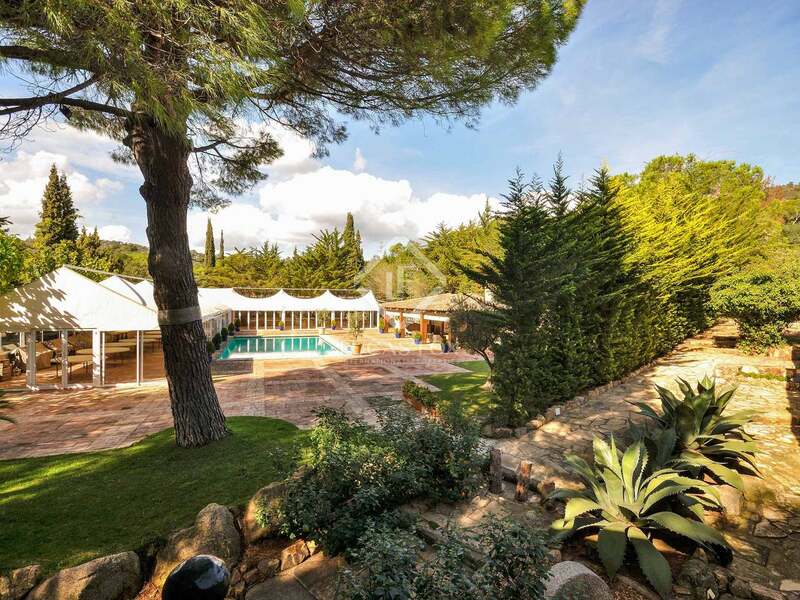 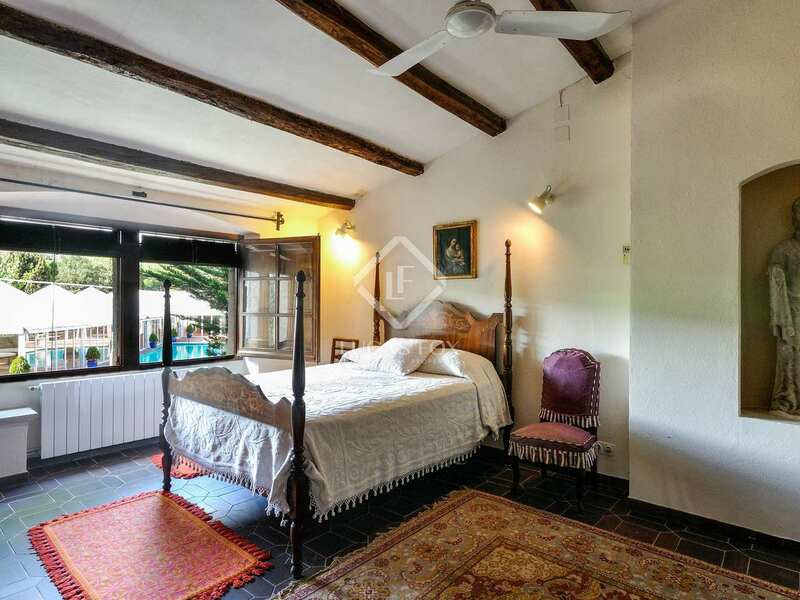 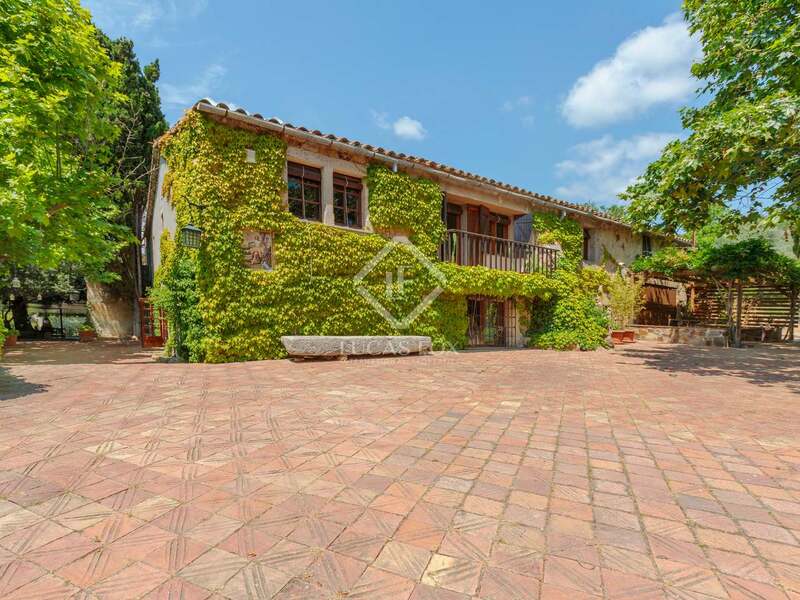 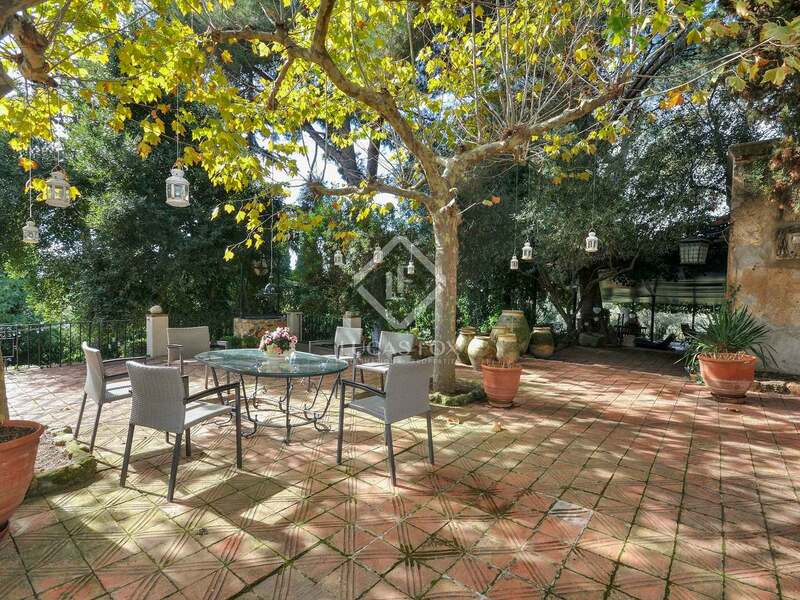 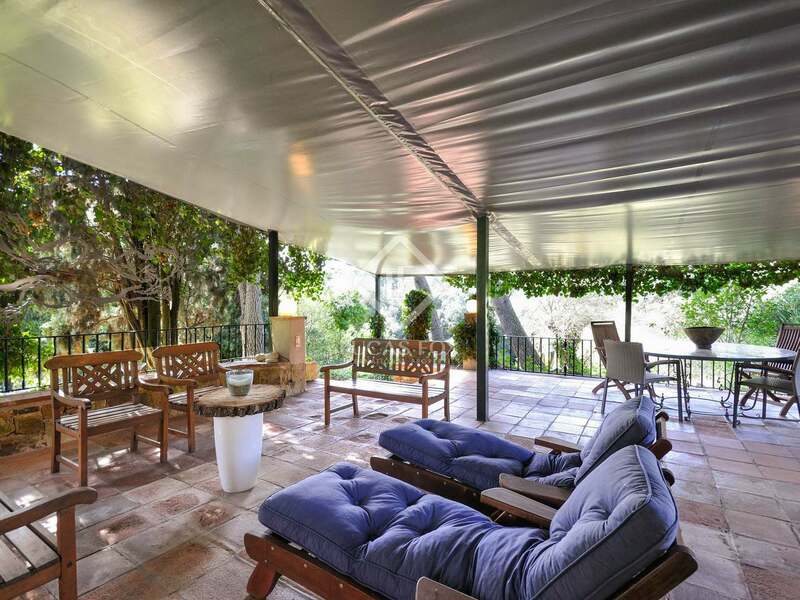 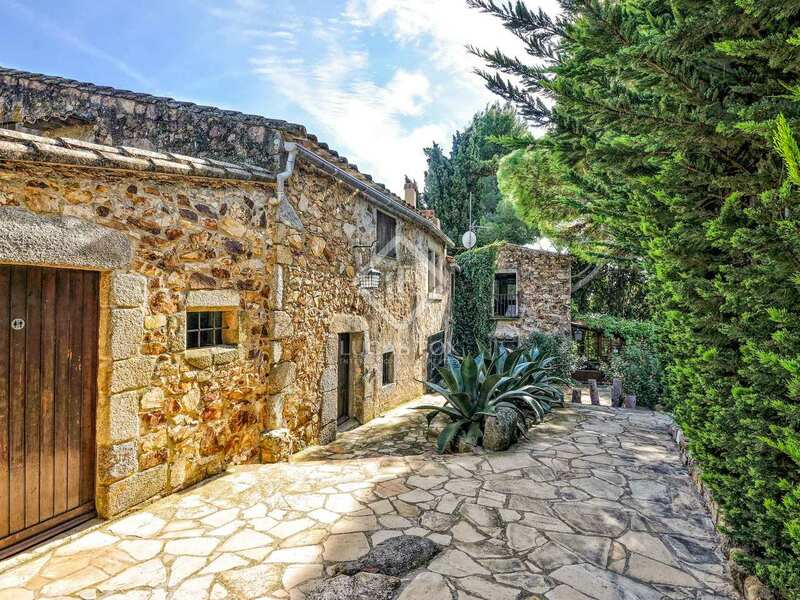 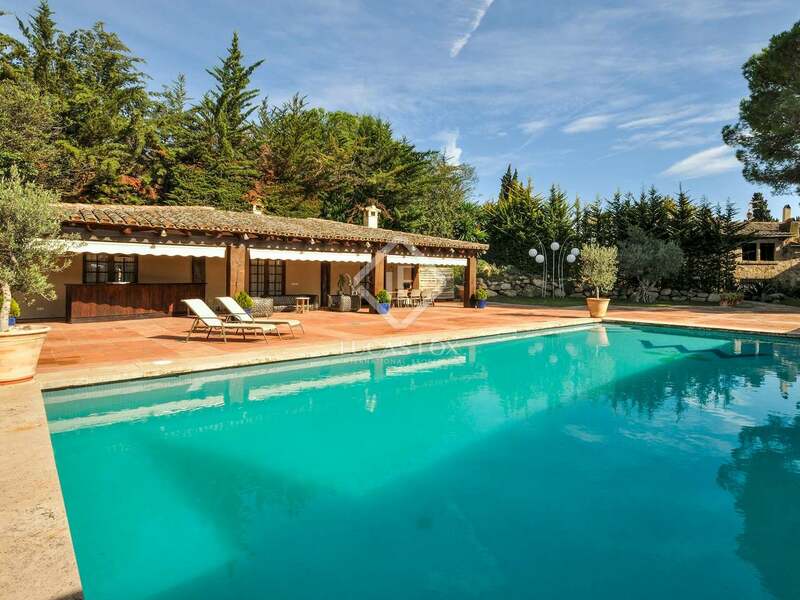 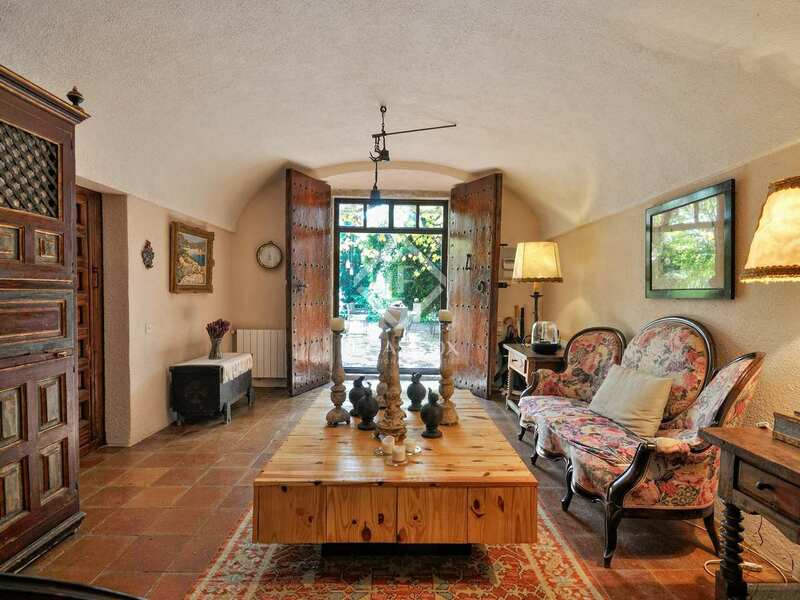 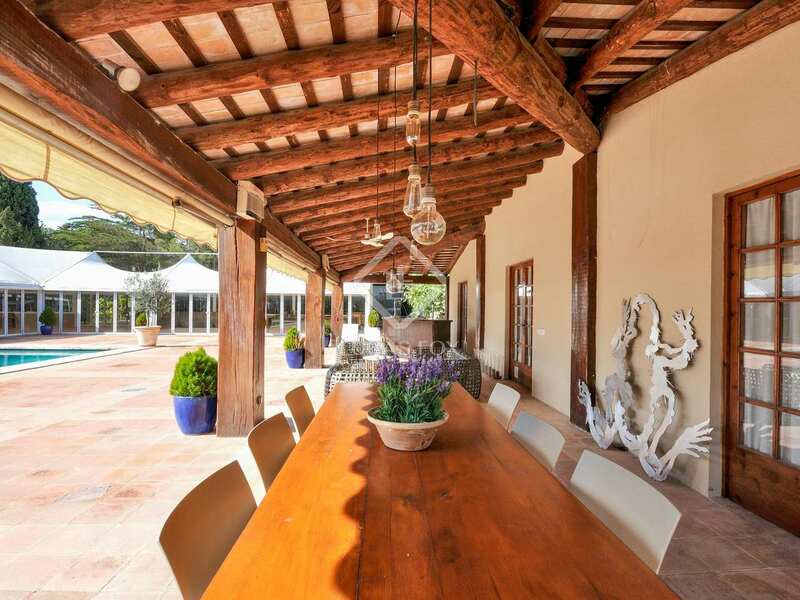 This very special property would appeal to anyone wishing to own a thriving guesthouse with a consolidated client base in a popular all-year-round tourist destination such as Playa de Aro. 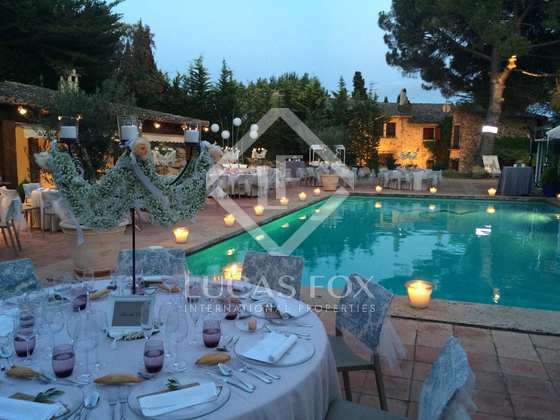 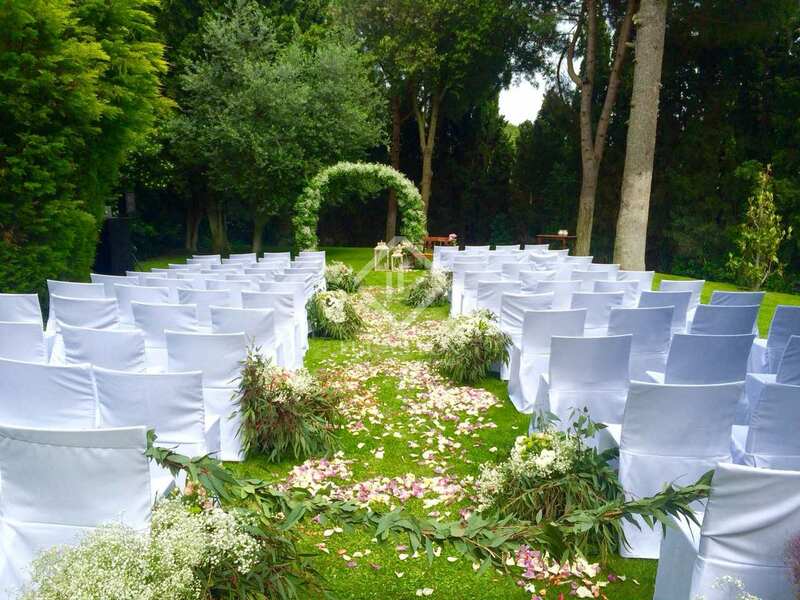 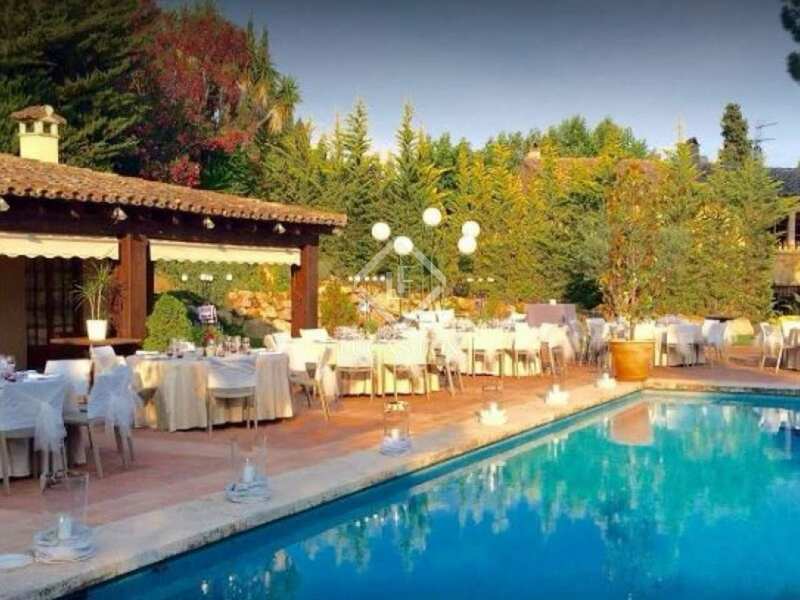 Additionally the property operates as a highly successful wedding venue offering a solid year-round income. 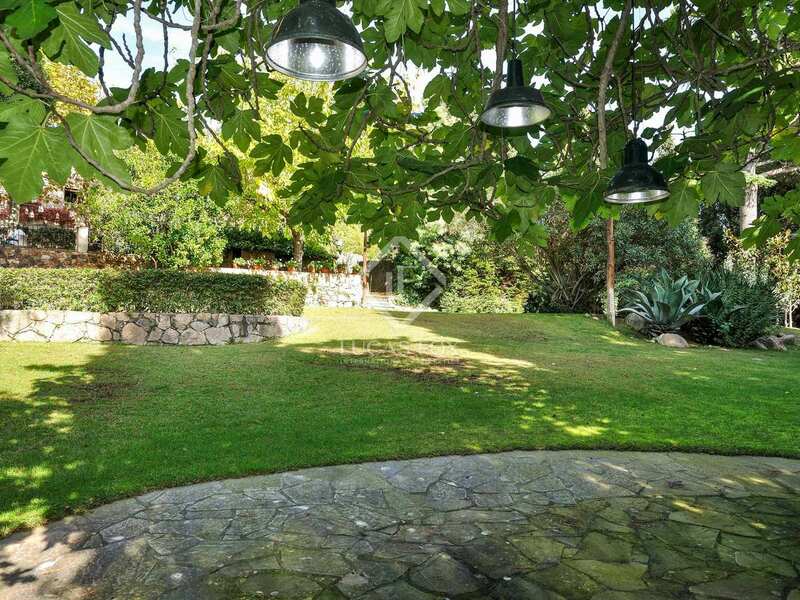 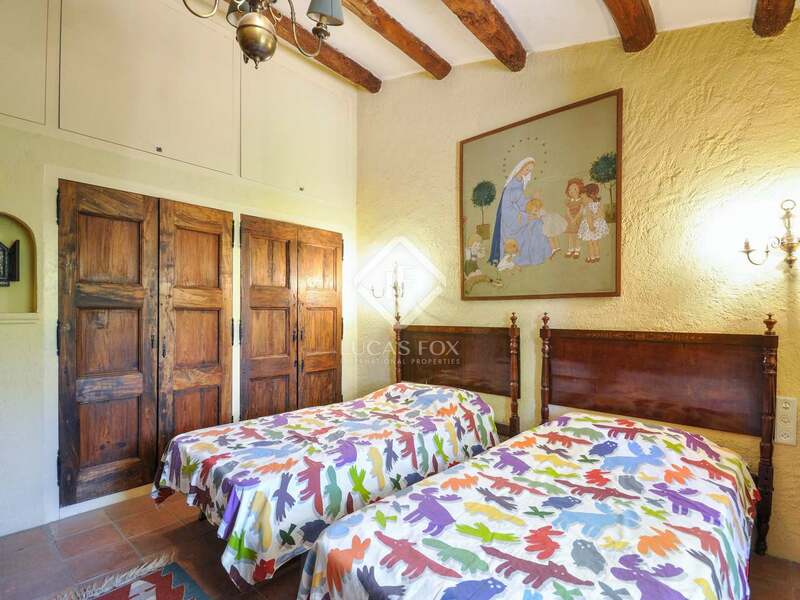 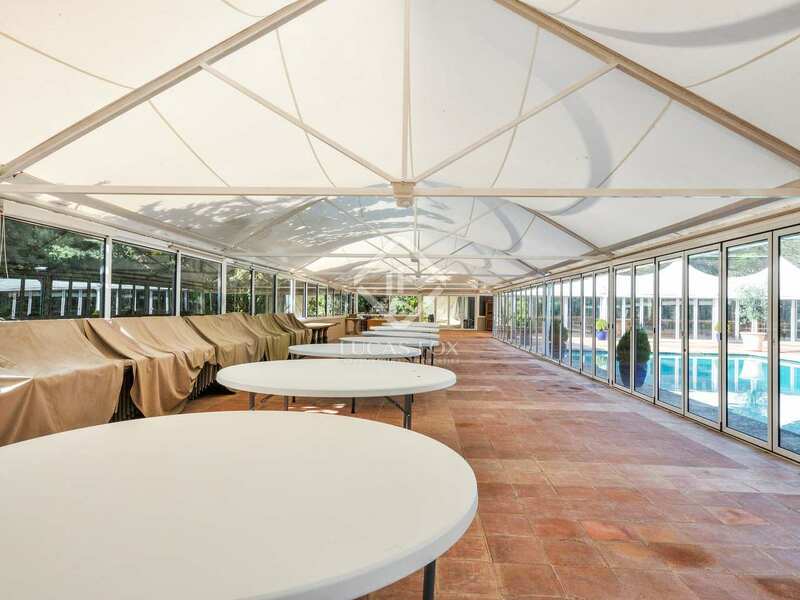 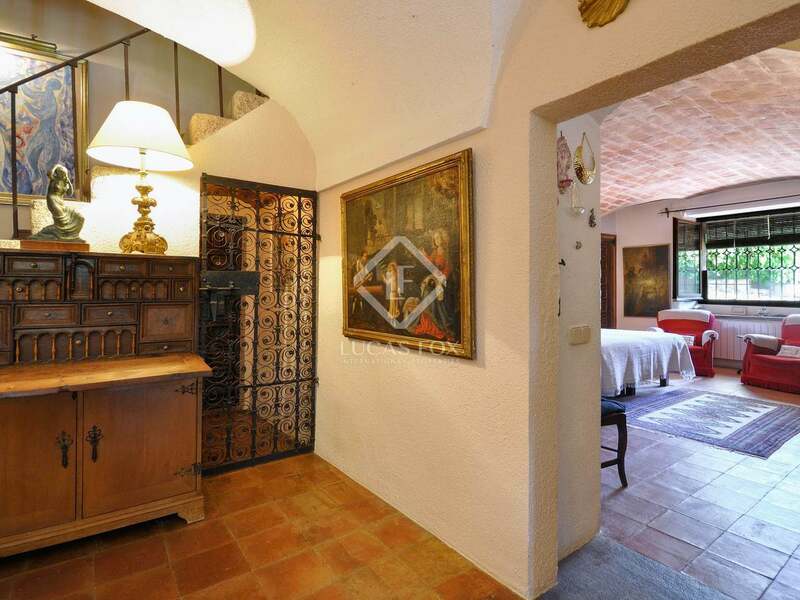 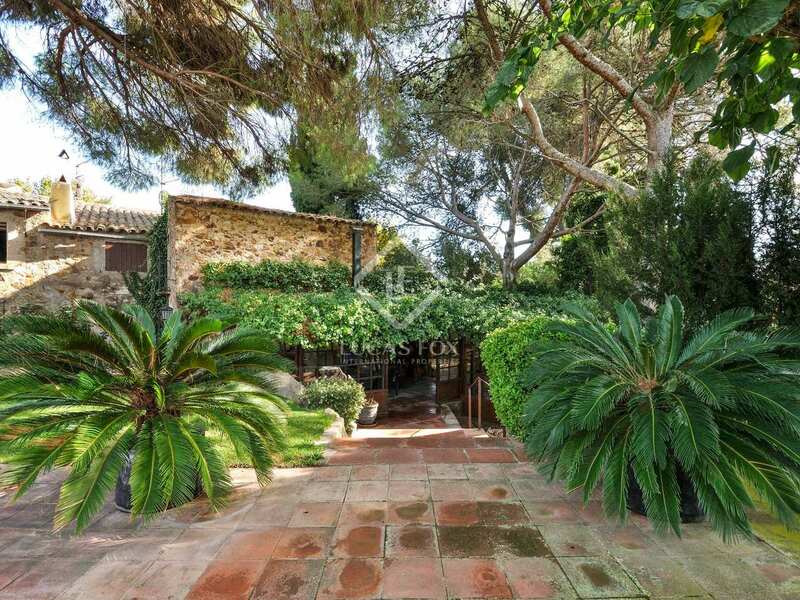 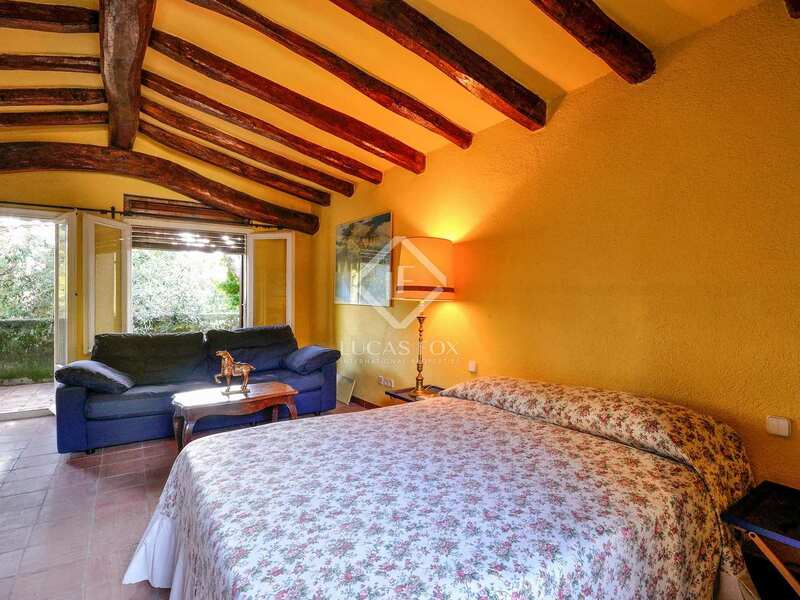 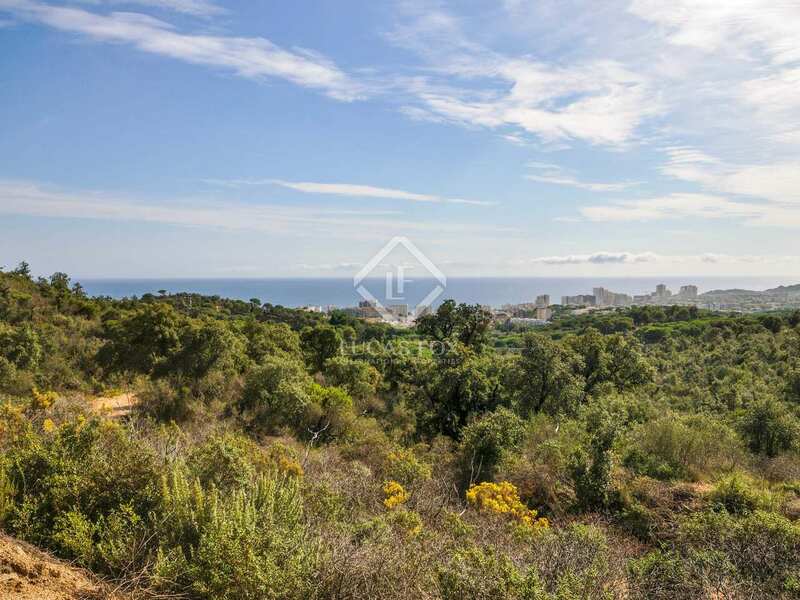 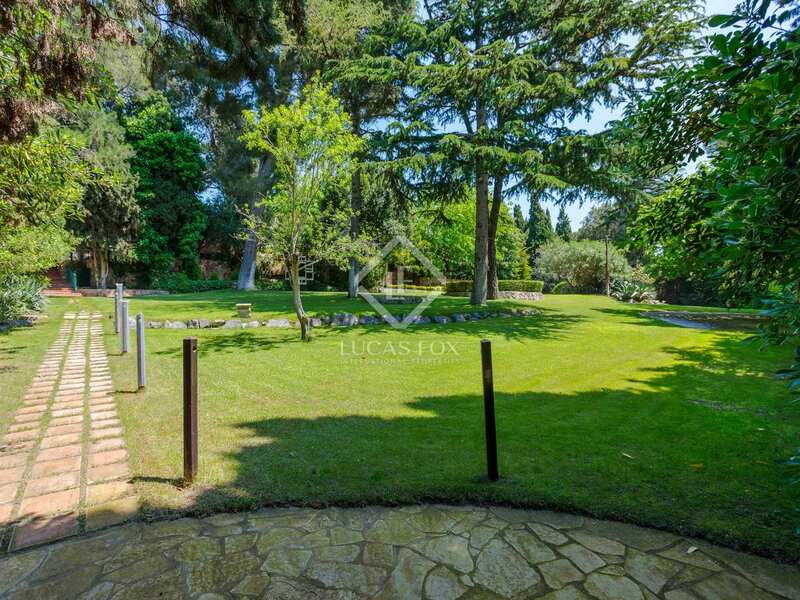 It is located 1km away from the centre of Playa de Aro, in the wooded mountains behind the town. 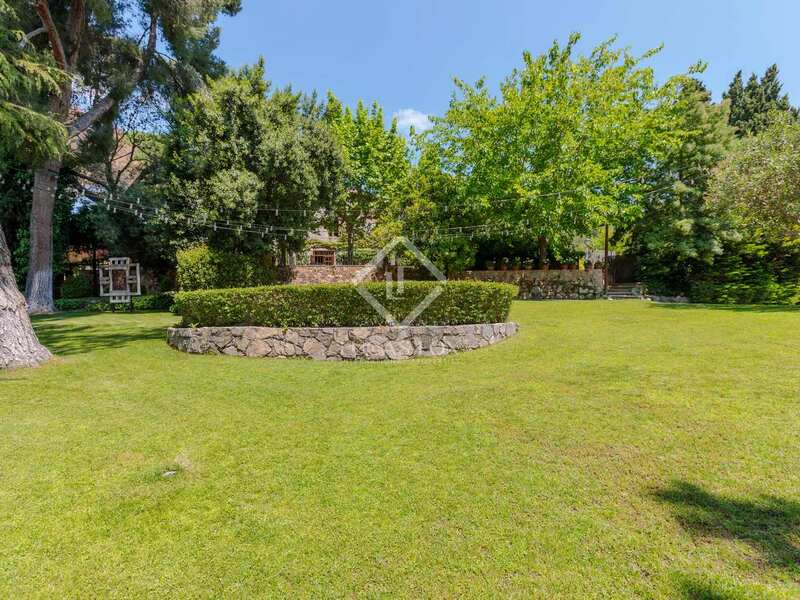 It is close to the main road network and accessed via a tarmac road.